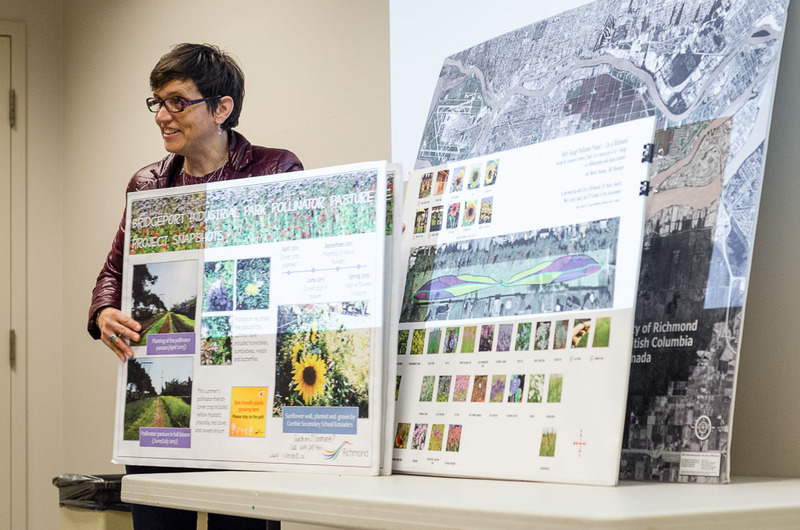 This project was the result of a col­lab­o­ra­tion between the Rich­mond Art Gallery, Rich­mond Sec­ondary Schools, Dr. Cameron Cartiere and the chART col­lec­tive as a com­po­nent of the larg­er Bor­der Free Bees project. 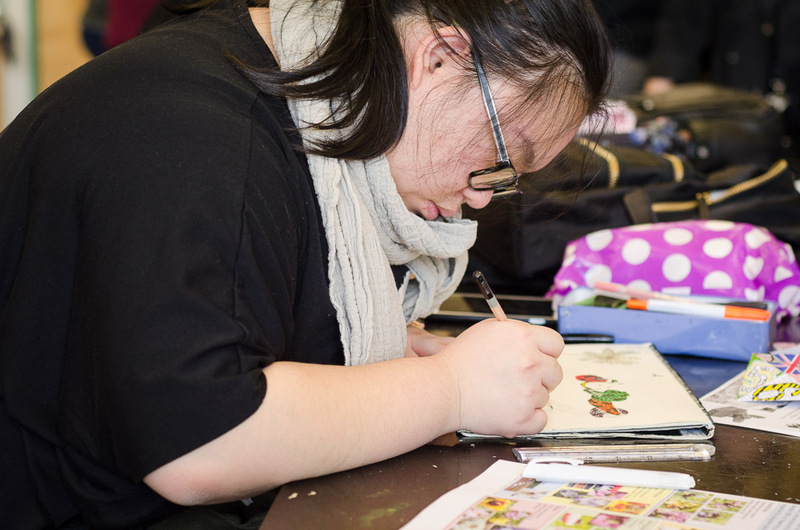 The goals of the Youth Out­reach Project were to intro­duce Rich­mond high school stu­dents to social­ly engaged arts prac­tice and to sup­port them in tak­ing the themes and issues from art gallery exhi­bi­tions back to their schools to cre­ate art projects that involved their school com­mu­ni­ty. 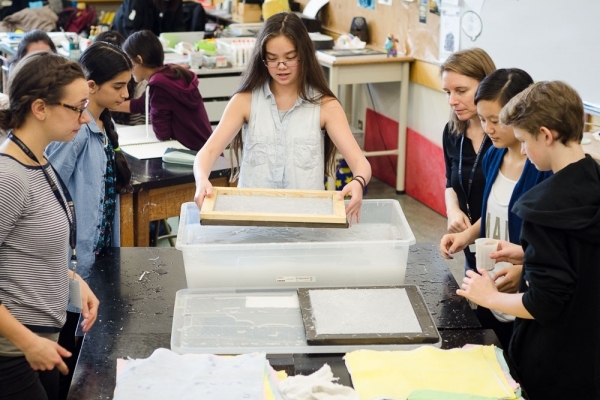 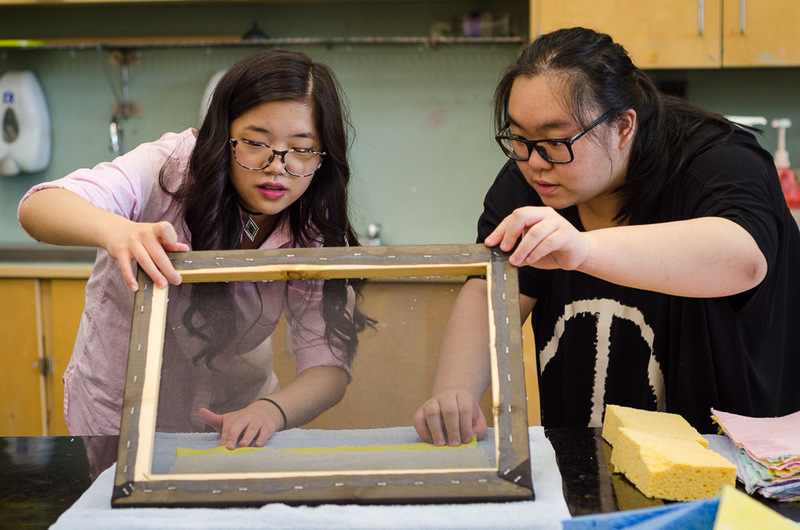 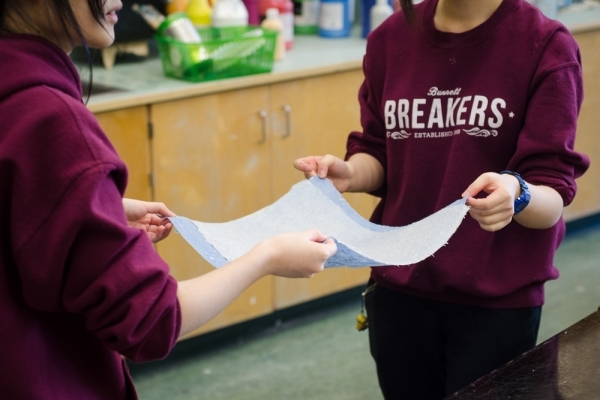 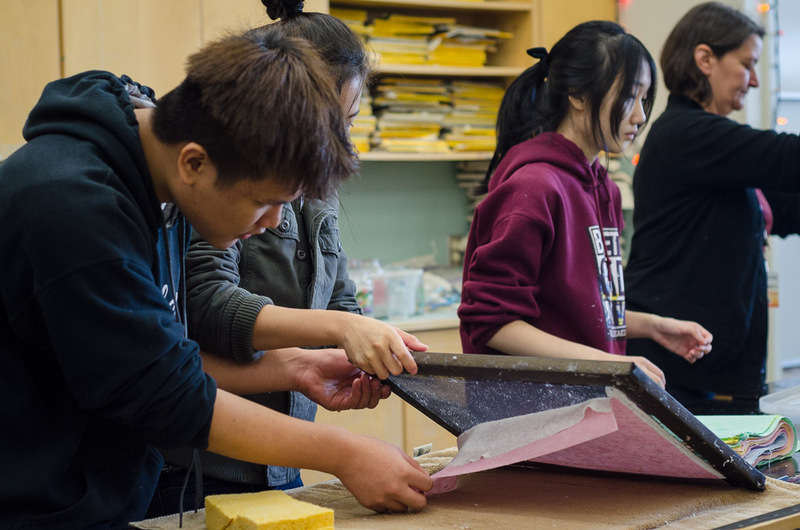 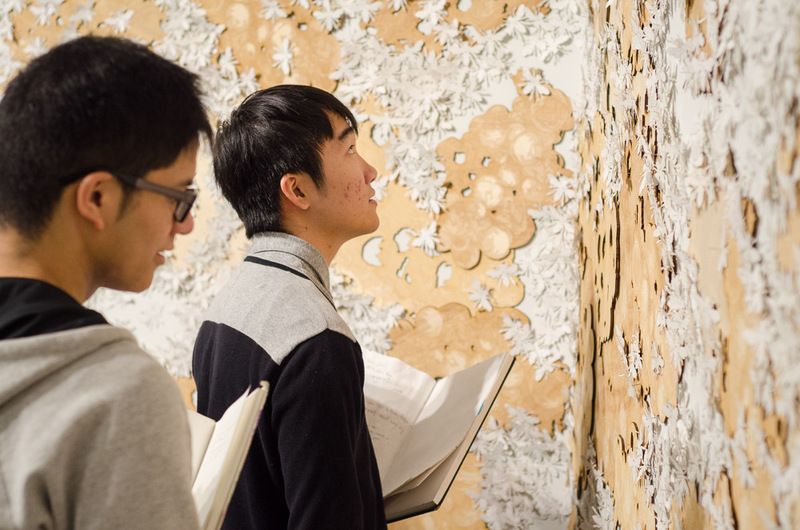 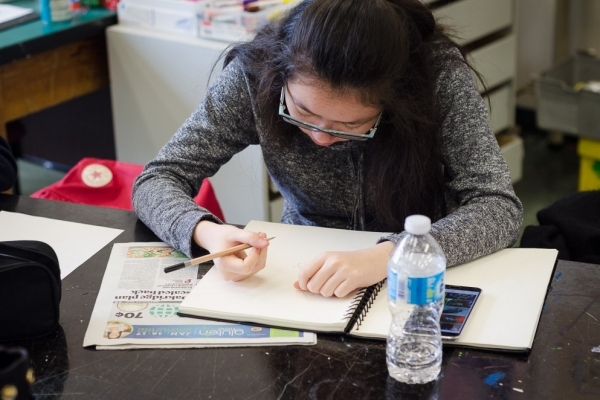 The project was artist-led, but was delib­er­ate­ly struc­tured to let the stu­dents and teach­ers work togeth­er to devel­op the art projects, using gallery exhi­bi­tions as start­ing points. 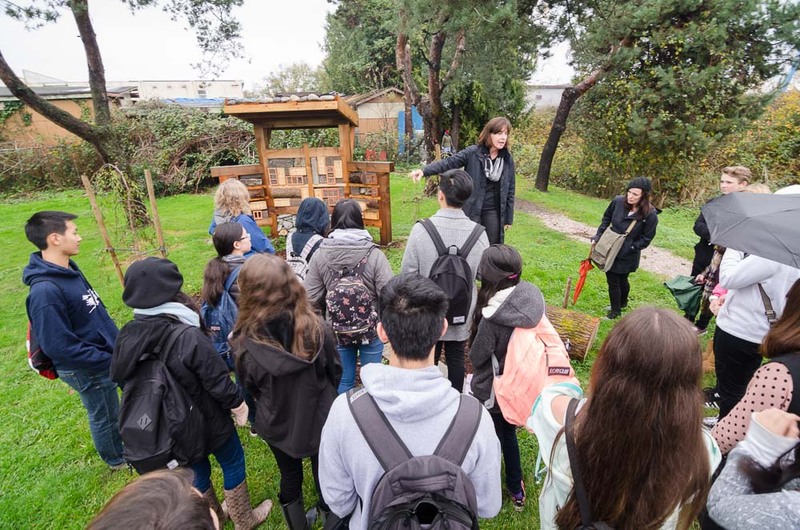 The exhi­bi­tion For All is For Your­self by Cameron Cartiere and the chART col­lec­tive explored issues sur­round­ing declin­ing pol­li­na­tor pop­u­la­tions, and the ways in which mem­bers of the com­mu­ni­ty can take action to solve this immi­nent prob­lem. 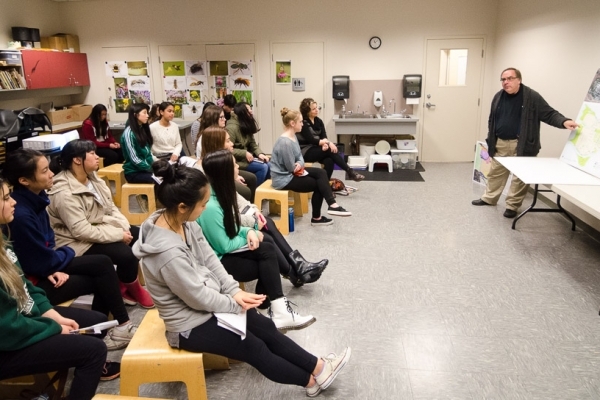 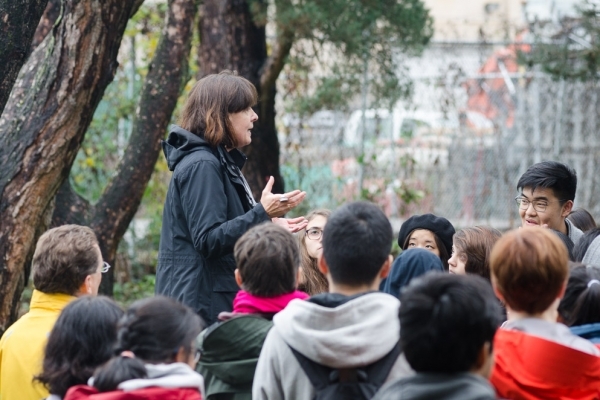 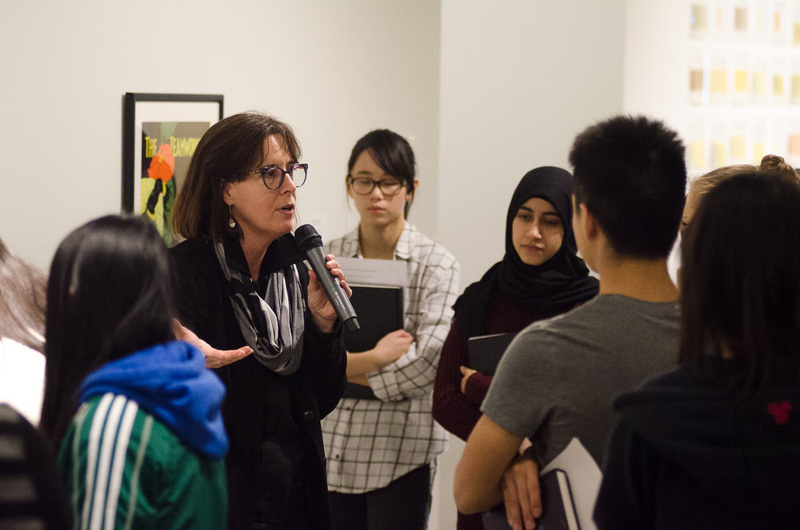 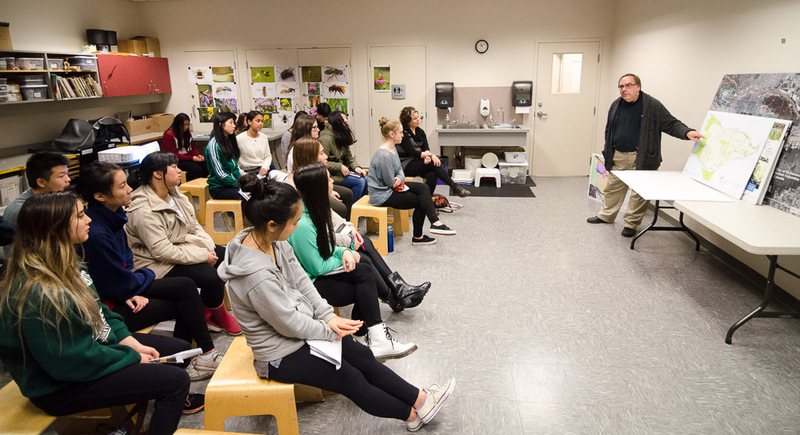 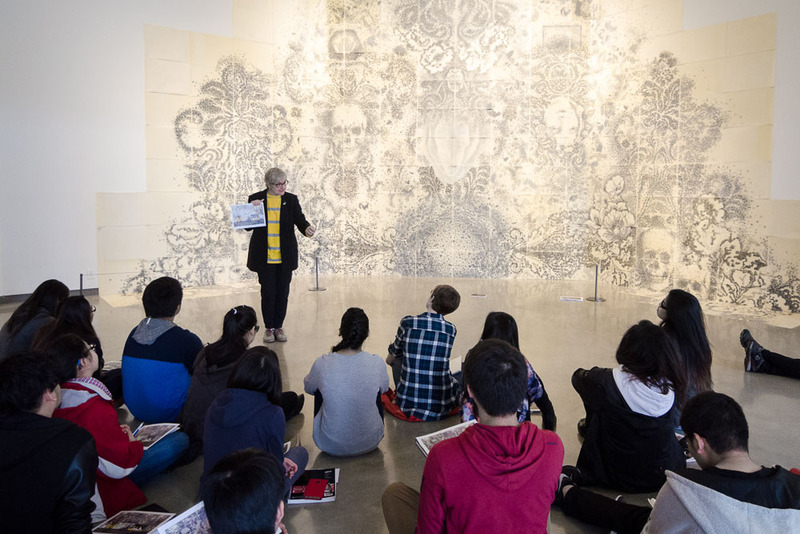 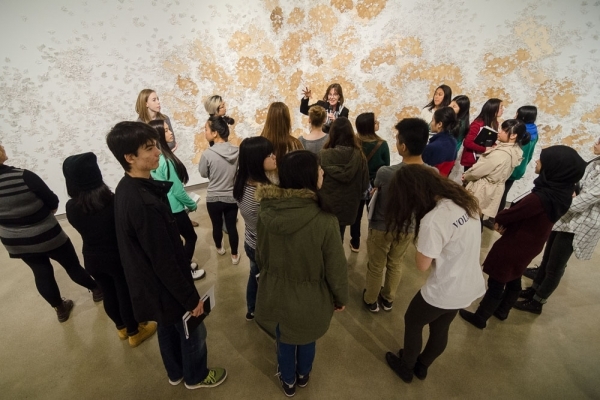 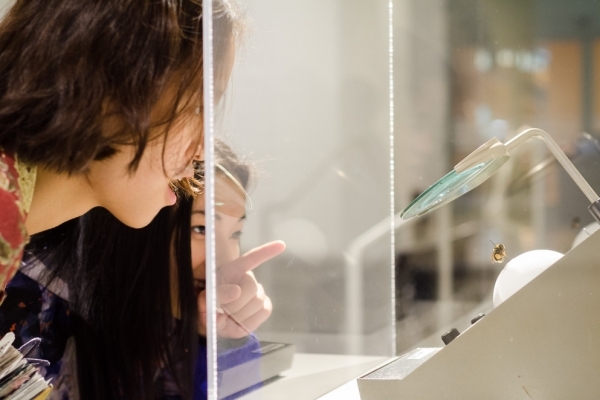 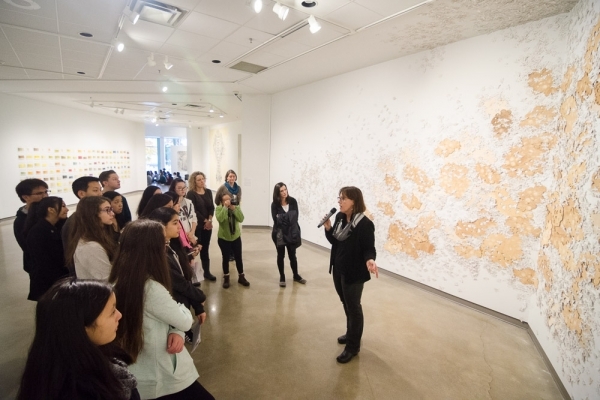 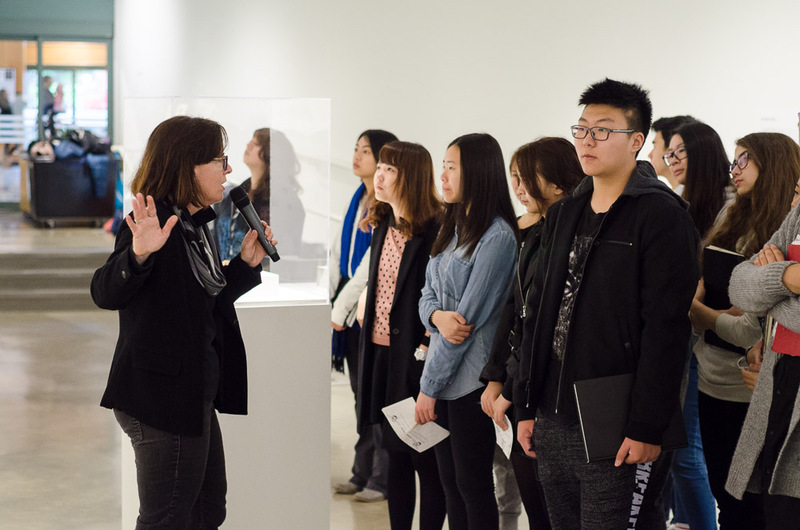 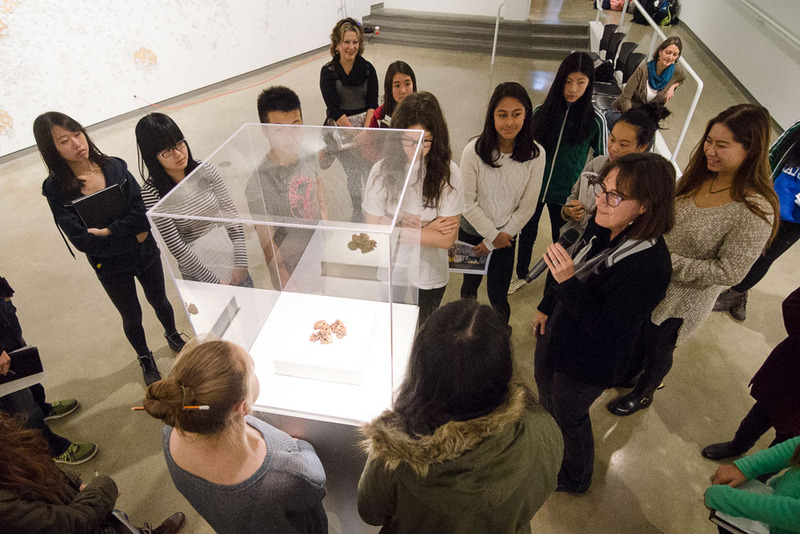 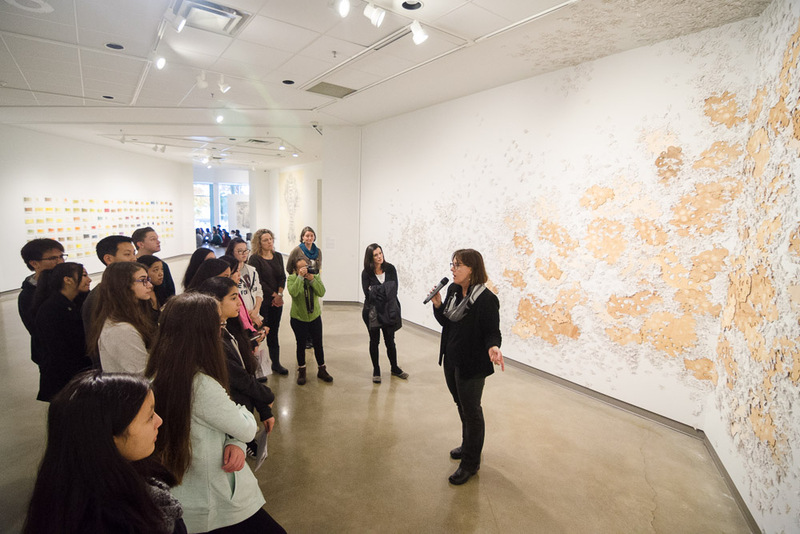 Stu­dents and teach­ers from Hugh McRoberts, H. J. Cam­bie, and J. N. Bur­nett Sec­ondary Schools vis­it­ed the exhi­bi­tion and met with the artists and oth­er “bee experts” for a full day event at the Art Gallery and at the Pol­li­na­tor Pas­ture. 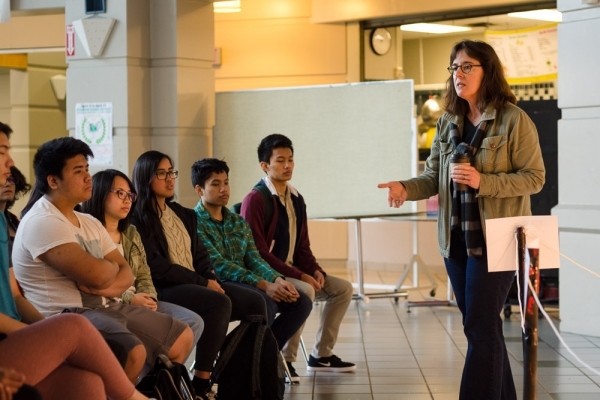 Back at their prospec­tive schools, each class incor­po­rat­ed what they learned into art projects meant to inspire their school com­mu­ni­ties to learn more about and how to sup­port local pol­li­na­tor species. 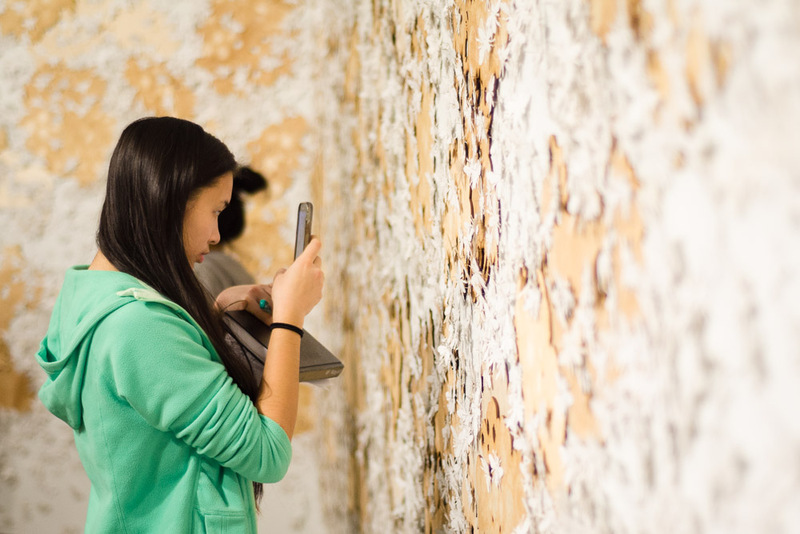 For All is For Your­self was cre­at­ed using seed paper made in com­mu­ni­ty work­shops with the artists. 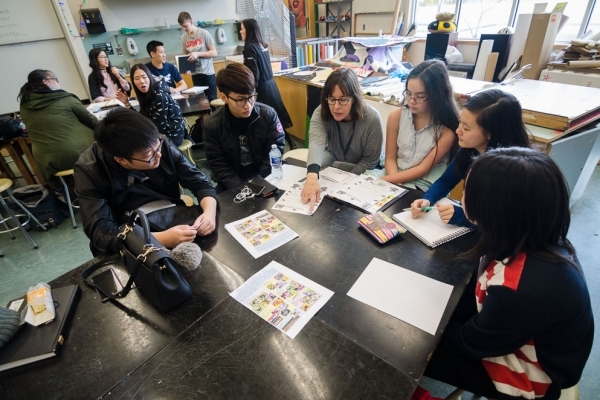 The stu­dents from H.J. Cam­bie led the way with the first paper-mak­ing work­shop in Rich­mond. 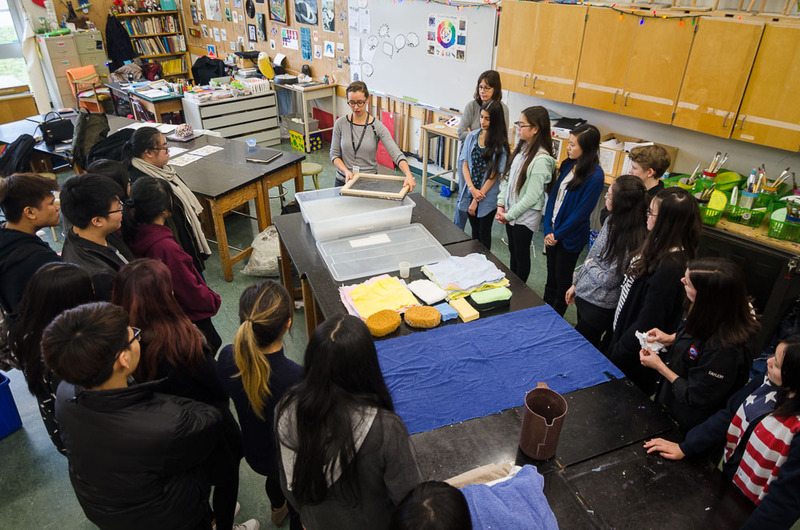 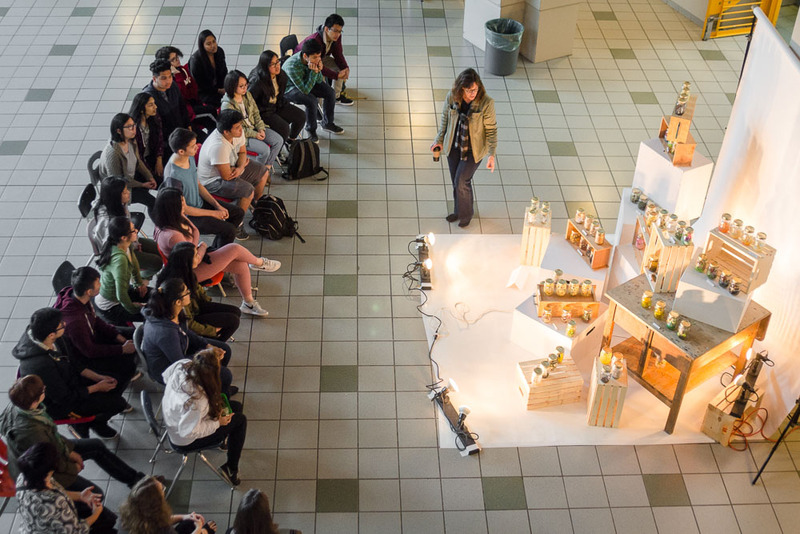 Ms. Foster’s Art Enriched 11 and AP Stu­dio Art 12 class­es cre­at­ed a school-based instal­la­tion that encour­aged a per­son­al response to the impor­tant issues raised by For All Is For Your­self and the Pol­li­na­tor Pas­ture Pub­lic Art Project. 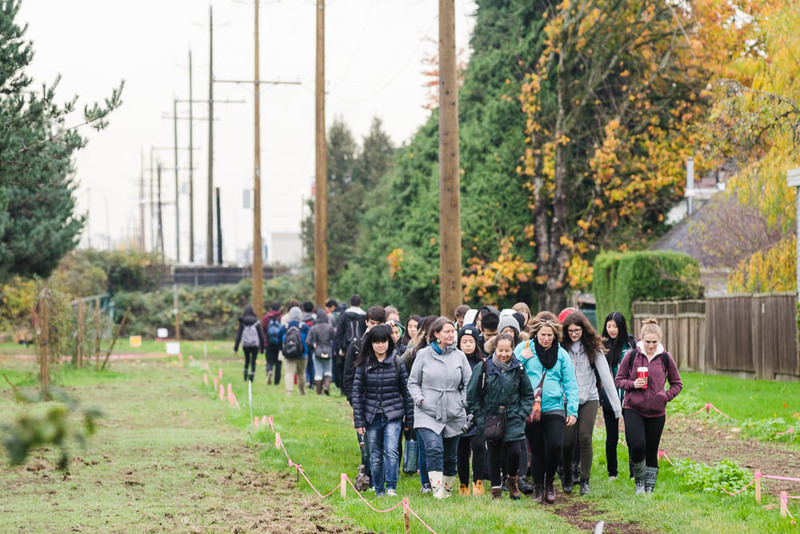 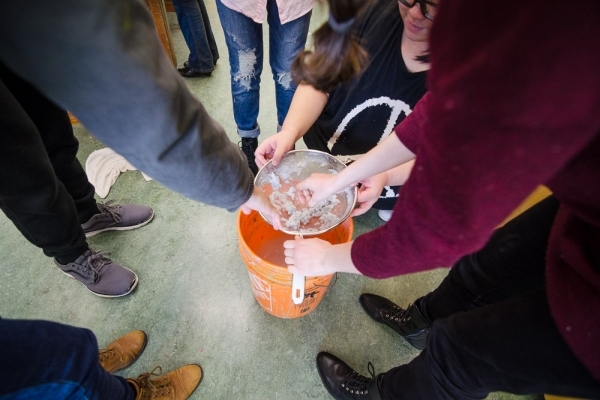 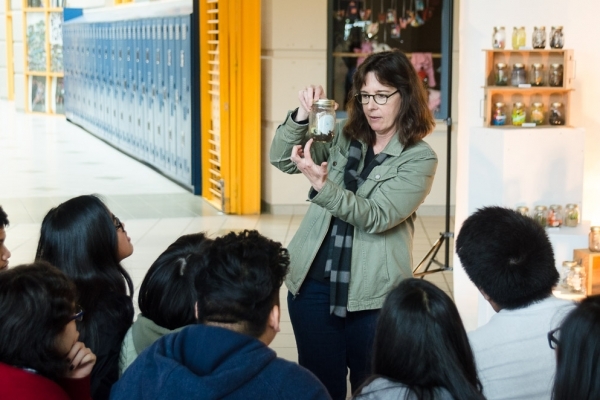 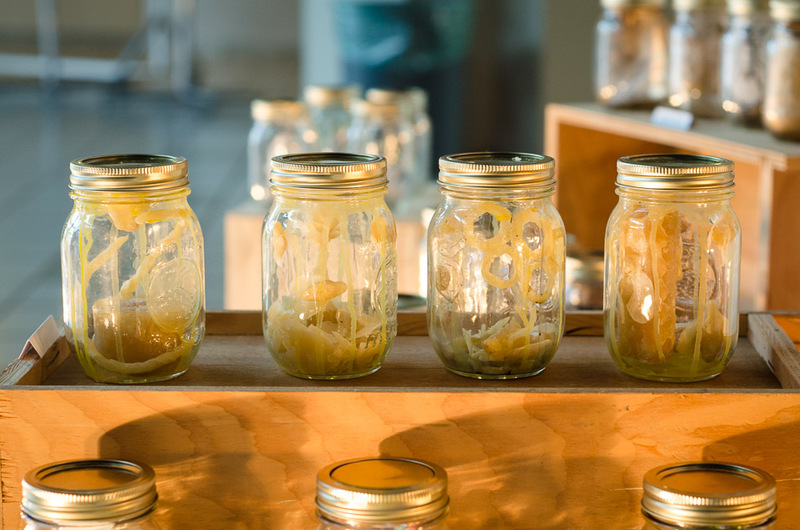 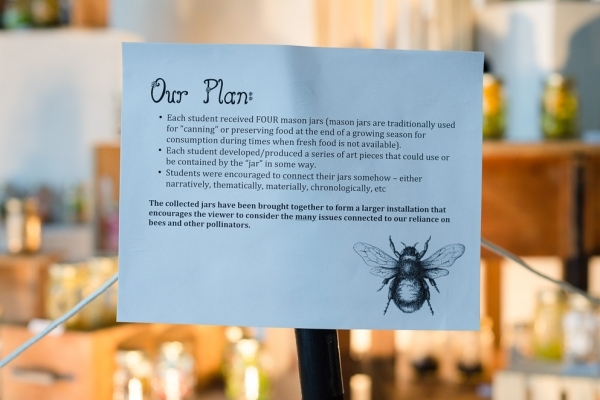 The class chose the form of the mason jar, as mason jars are tra­di­tion­al­ly used for pre­serv­ing food at the end of a grow­ing sea­son. 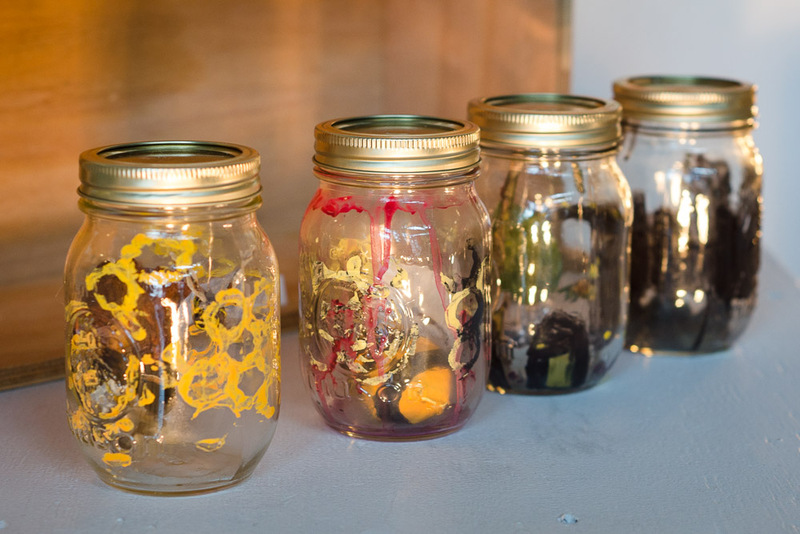 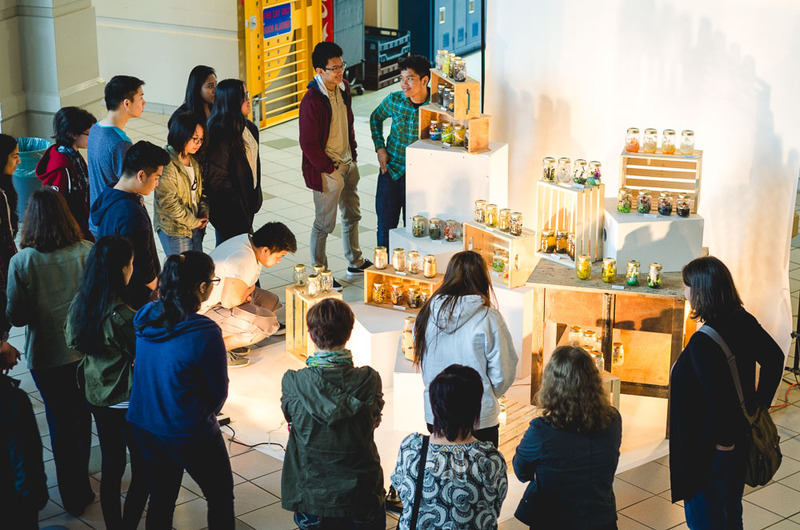 Each stu­dent received four mason jars and pro­duced a series of art pieces that incor­po­rat­ed or was con­tained by the jars. 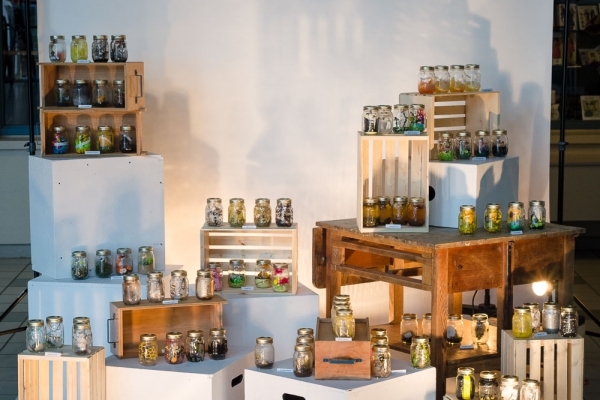 Stu­dents were encour­aged to con­nect the jars in some way, either nar­ra­tive­ly, the­mat­i­cal­ly, mate­ri­al­ly, chrono­log­i­cal­ly, etc. The col­lect­ed jars were then brought togeth­er to form a larg­er instal­la­tion in the school’s rotun­da in order to encour­age the school pop­u­la­tion to con­sid­er the many issues con­nect­ed to our reliance on bees and oth­er pol­li­na­tors. Fol­low­ing their vis­it to the exhi­bi­tion For All is For Your­self the stu­dents and teach­ers were led on a tour of the Pub­lic Art Pol­li­na­tor Pas­ture at the Bridge­port Indus­tri­al Park. 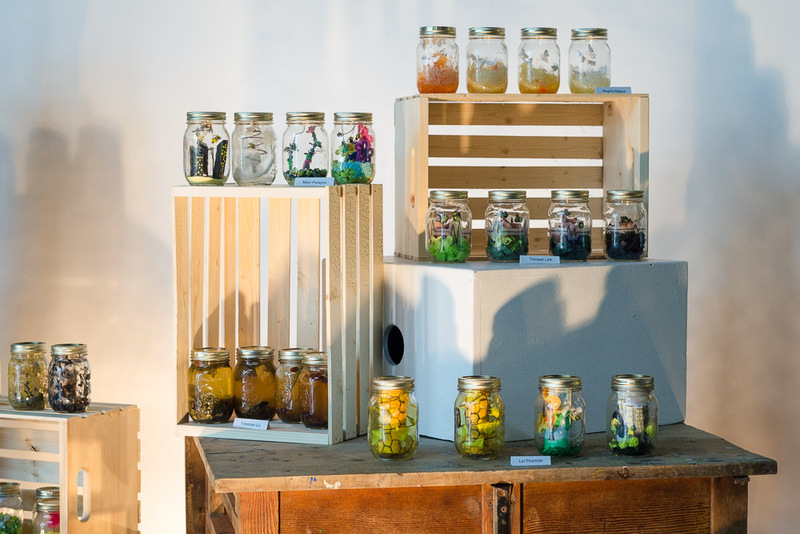 © Border Free Bees 2015. 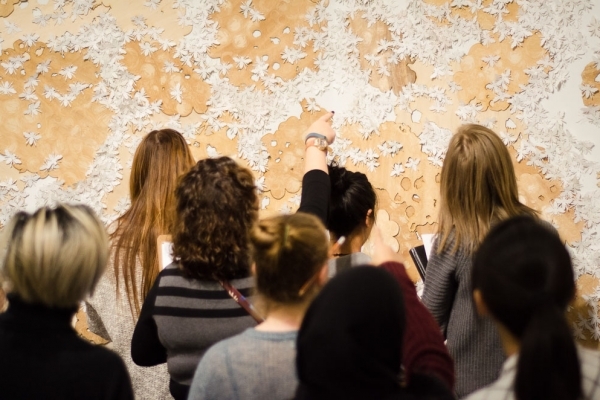 All photos © Geoff Campbell unless otherwise noted. 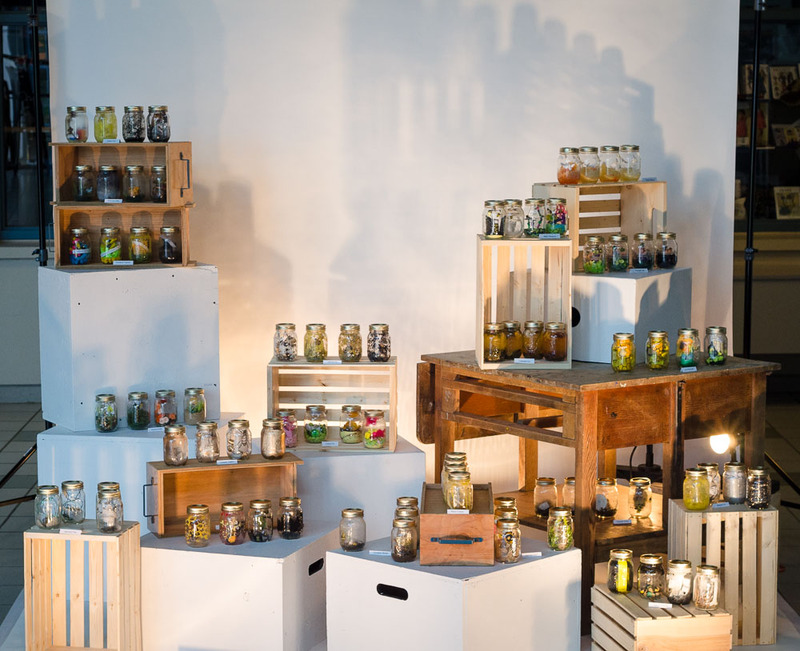 Web design by Geoff Campbell.